U.S. markets pushed ahead Thursday, with the S&P 500 surpassing the all-time closing high during morning trading. At 11:13 a.m. ET, the index was at 1,566.47. 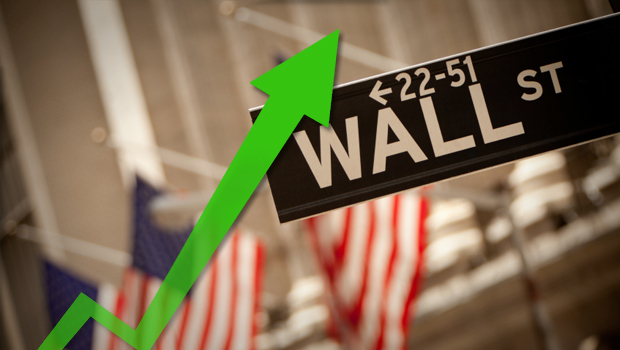 The Dow was up 26 points, at 14,552; the Nasdaq was at 3,260, up 4 points. The previous record, set on Oct. 9, 2007, was 1,565.15. Today is the last day of trading for the second quarter of 2013. Markets will be closed for Good Friday. Investors have struggled to discern the state of the U.S. economy. For every sign that it's improving, another says it's not. Thursday was a case in point. The U.S. economy grew faster than first estimated in the fourth quarter, the government reported. The growth of 0.4 percent was still anemic, however. And the number of Americans seeking unemployment benefits jumped for the second straight week. On a longer time frame, jobless claims have been declining since November. Investors are also uncertain what to make of the continuing debt crisis in Europe, including the bailout of the Mediterranean island country of Cyprus. Banks there reopened Thursday for the first time in nearly two weeks. The banks had been closed because the government was negotiating emergency loans from other European countries, and there were concerns that there would be a run on the banks. Across Cyprus on Thursday, customers stood in long but orderly lines for hours ahead of the bank openings, and guards from private security firms reinforced police outside some ATMs and banks in the capital, Nicosia. Some investors had predicted that a bailout plan for Cyprus would send the markets up because it would calm concerns that the country's banking system might collapse. But the markets have been mixed this week. Some investors said the Cyprus bailout only serves as a reminder that Europe's debt crisis lingers.